To save build time, we have moved customisation options on to the Web as a simpler alternative to embedding them in the installation media. 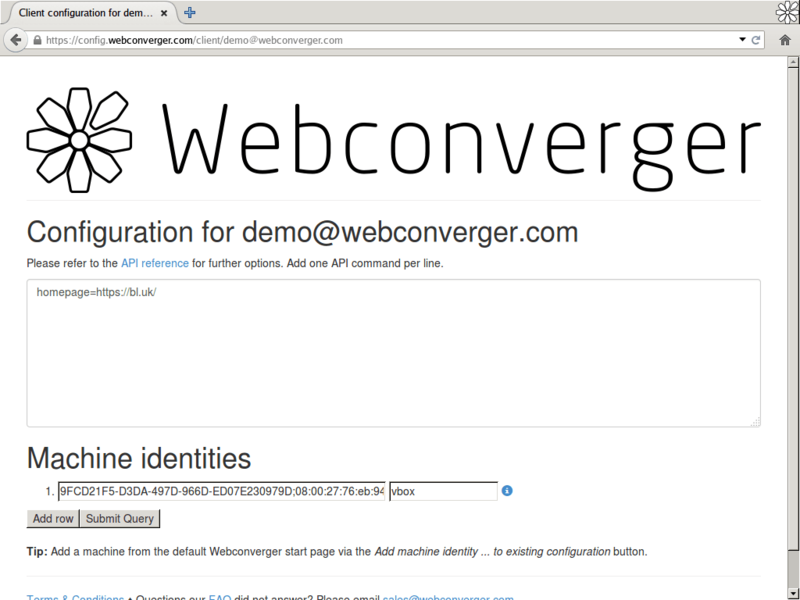 Your Webconverger boots, contacts https://config.webconverger.com for a configuration based on its machine identity. Furthermore we have powerful features you can use to troubleshoot your kiosk deployments. Our control panel makes managing 1 or 100s of Webconverger deployments trivial. What are the steps to configure Webconverger? Terms & Conditions ♦ Questions our FAQ did not answer? Please email sales@webconverger.com. © Webconverger Limited 2007-2018, Company No. 201211208C, Singapore.